Tony Greenstein's Blog: “The official designation of Israel as a ‘Jewish and democratic state’ is an oxymoron. " “The official designation of Israel as a ‘Jewish and democratic state’ is an oxymoron. " Given that Zionists usually explode in flame when you compare their spoilt brat of a state to Apartheid in South Africa, the article below should be of some interest. Contrary to his image as some kind of martyr to peace, Rabin was a hardliner who instructed the military to 'break bones' during the First Intifada. During the Nakba he was responsible for the expulsion of the Palestinians of Lod and Ramle and the massacre of hundreds of them. He never supported a Palestinian state either, advocating some form of autonomy - much like today's situation yet he could see, as the article makes clear, where Zionism was heading. In a previously unpublicized recording of a 1976 interview, Israel’s fifth prime minister, Yitzhak Rabin, can be heard calling the still-nascent West Bank settler movement “comparable to a cancer,” and warning that Israel risked becoming an “apartheid” state if it annexed and absorbed the West Bank’s Arab population. The recording is being publicized for the first time in the documentary “Rabin: In His Own Words.” The film, timed to the 20th anniversary of Rabin’s November 1995 assassination by a Jewish extremist, traces Rabin’s life using original and sometimes never-before-seen footage. 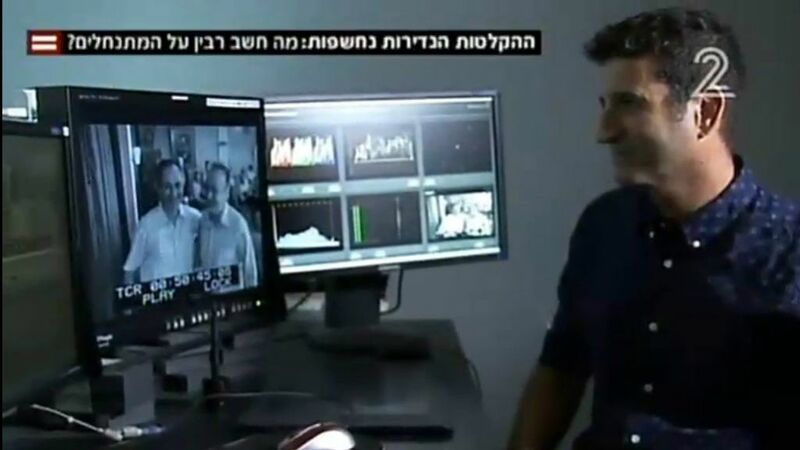 This ranges from a 1949 home movie by an American tourist showing Rabin as a young operations officer in the nascent IDF’s Southern Command, to the last days and hours of his eventful life, as the prime minister who launched the Oslo peace process with the Palestinians. 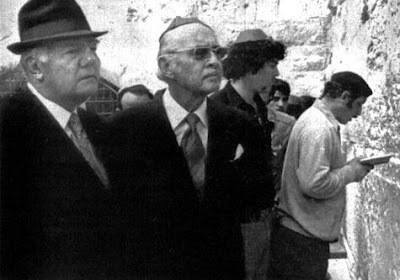 The candid recordings of Rabin were preserved thanks to Dan Patir, press secretary in Rabin’s first 1974-1977 premiership, who diligently recorded all of the prime minister’s interviews with journalists. 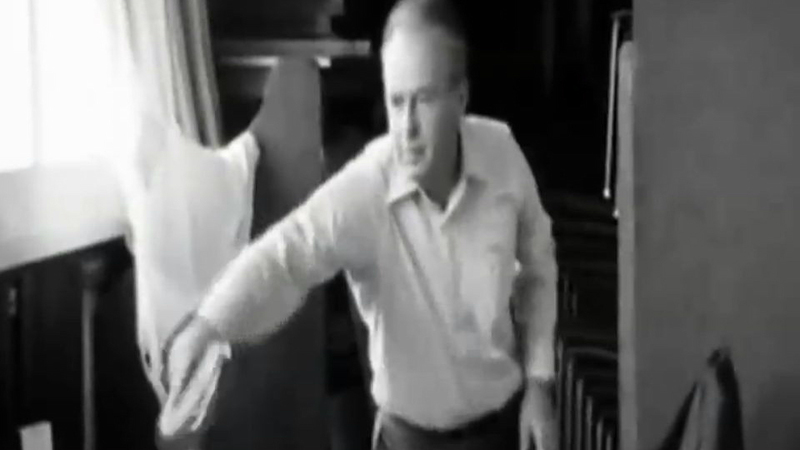 The recordings include Rabin’s “off-the-record” comments to his interviewers, comments the journalists never published and which are coming to light for the first time. “There’s nothing tougher for a man than to say what he is. It’s hard for me to say. It’s true that to a great extent I’m a ‘closed’ person,” Rabin says in one candid moment about his famously quiet and introverted personality. Some highlights from the film, including an interview with its director and editor Erez Laufer, aired Thursday night on Channel 2. He complains of the settlement movement’s strategy of forcing the Israeli government into clashes with its activists over countless small, out-of-the-way hilltops on which they had squatted. 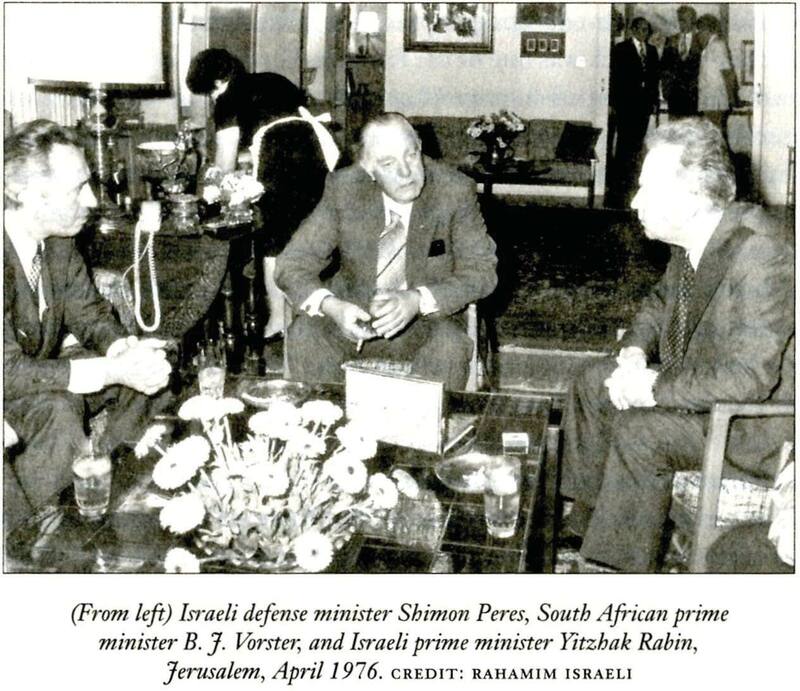 “From a historical perspective, a person might ask what the State of Israel was dealing with in 1976, in some crappy, insignificant place, in a mystical argument on which they pin the existential problem of the State of Israel. It’s unbelievable,” he says. Rabin’s famously imperturbable monotone betrays increasing anger as he complains about the settlements growing in number and size during his premiership. “I see in Gush Emunim [the ‘Bloc of the Faithful,’ the ideologically driven founders of the settlement movement,] one of the most acute dangers in the whole phenomenon of the State of Israel,” he confides. 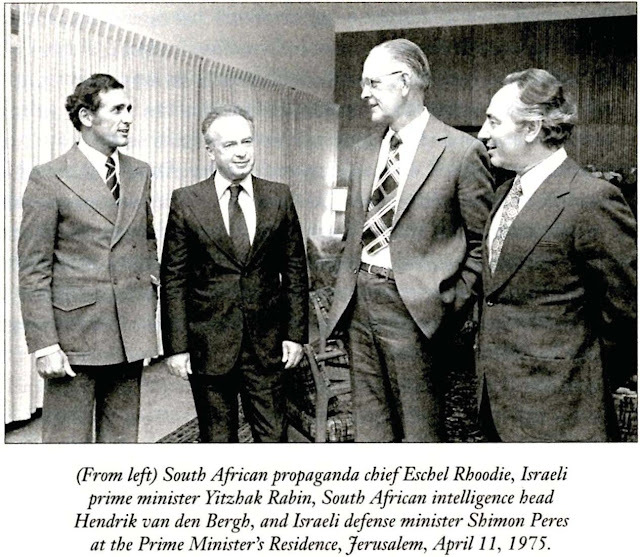 Unknown to historians or his countrymen at the time, Rabin offers the journalist, who is not identified in the Channel 2 report, what may be the first signs of his later political program. 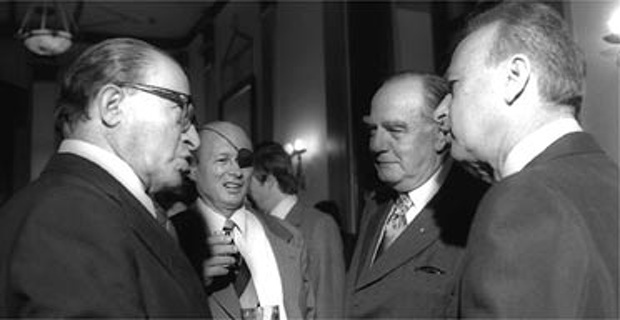 Rabin’s first government fell in 1977, leading to a historic victory for Menachem Begin’s Likud in what was the Labor party’s first election defeat since Israel’s founding 29 years earlier. 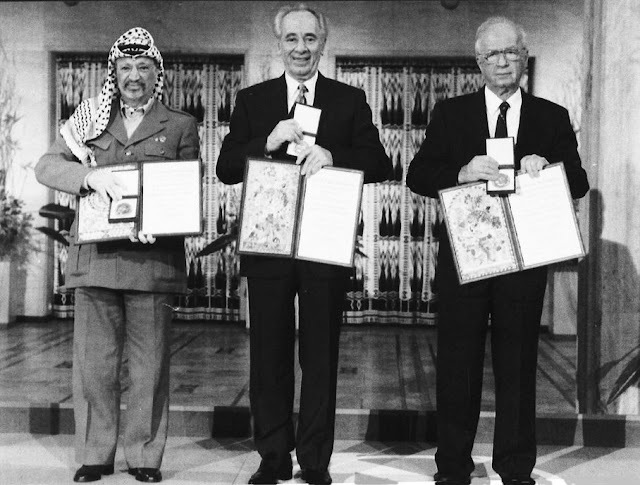 But in 1992, Rabin fulfilled that off-the-record promise, winning the premiership on an explicit platform of peace with the Palestinians and some form of withdrawal from the West Bank and Gaza. The film may rekindle many debates among Israelis about opportunities lost and taken, the chances for peace, the settlements and the future of Israel’s relations with the Palestinians. Indeed, it may be one of the acute ironies of Israeli history that Israel’s dramatic territorial withdrawals — amounting to over four-fifths of the territory Rabin’s IDF captured in the 1967 Six Day War, including the pullouts from Sinai in the early 1980s and Gaza in 2005 — were carried out not by Rabin’s Labor but by Begin’s and Ariel Sharon’s Likud. “Rabin: In His Own Words” will be shown next week at the Haifa film festival.